Earlier this month Chicago voters decisively ousted Cook County State’s Attorney Anita Alvarez. 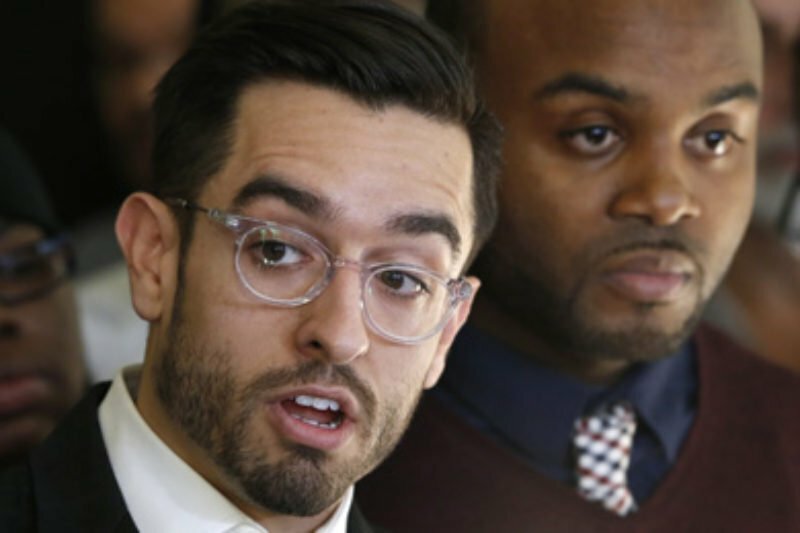 The prosecutor was at the center of controversy after the release of video showing the fatal police shooting of 17-year-old Laquan McDonald – a video that Alvarez tried to keep from public view for 13 months. Alvarez didn’t charge the officer until just before the video was released. Brandon Smith, an independent journalist, forced public disclosure of the video (which sharply contradicted police’s recounting of events) by suing the city after his Freedom of Information Act (FOIA) request was denied. On this week’s podcast, Smith speaks with ProPublica senior reporter Julia Angwin about how he was the only journalist in Chicago to sue for the video, the challenges and benefits of practicing journalism independently in his free time, and his thoughts on what “counts” as journalism. A judge ordered the tape’s release just three months after Smith filed his lawsuit. Smith: We asked him, "Please speed this up. This is really important." If the Freedom of Information Act is for anything, it's for this case. This is a case wherein a representative of the government literally killed someone and people want to know why. Smith, whose legitimacy as a journalist has been questioned, disagrees with the notion that journalists can’t be activists. Smith: If something is heinous enough, you almost have to come out and take a stance against that thing. If you're a journalist reporting on the Iraq War, and you find that huge numbers of birth defects are occurring in areas where battles took place, then you kind of have a duty, if someone asks you a personal question about it…to say, "This is not a cool thing that the United States government used depleted uranium bullets.” … I don't think that makes them an activist only. They're a journalist reporting this story, trying to tell the facts. Smith left a secure reporting job, choosing to work independently instead. Smith: I had this beat where I had to cover certain things. I had to make sure I had a few stories every week. Those stories had to be on this topic of city government. I did that for a while and just kept thinking, "Man, there are such bigger stories out there with national implications, many of them." I was literally not allowed to report on them. Listen to this podcast on iTunes, SoundCloud or Stitcher. For more, follow Smith’s work at brandonsmith.com.